As African governments, donors, and other actors increase their efforts to reach the Millennium Development Goals and set the agenda for the post-MDGs era, the role of non-state providers of health care is gaining new attention. In Africa, the largest non-state networks of providers are often faith-inspired. 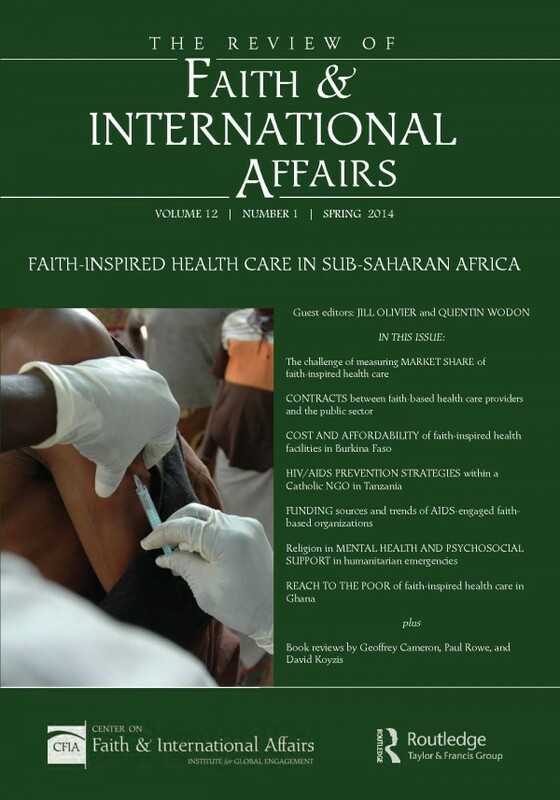 But how important is the role of faith-inspired institutions in health care provision in Africa? What are some of the innovative experiences that have been documented in terms of FIIs providing quality services to underserved populations? Guest-edited by Jill Olivier and Quentin Wodon, the spring 2014 issue of The Review of Faith & International Affairs is a theme issue devoted to these questions.